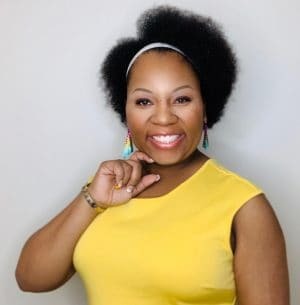 Only one speaker has the experience, charisma, intelligence, and personality to make a difference in your next event, and that is the amazing LaTersa Blakely. LaTersa Blakely is inspiring and extremely experienced in coaching moms and women worldwide to own and unleash their greatness while taking care of the families. LaTersa Blakely’s mission and message truly speak to audiences of any size. LaTersa Blakely is available to speak at corporations, training, seminars, breakout sessions and as a keynote speaker. Through her amazing presentations, LaTersa draws from her personal life experiences as well as life lessons. This ultimately gives her audience vital strategies to have a successful home and business. 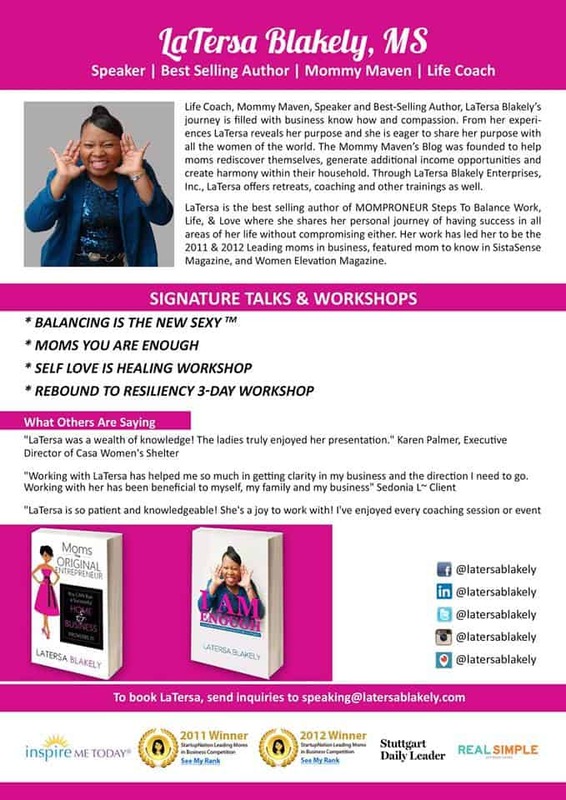 As a successful and well-known CEO, author, and mommy maven, LaTersa brings a huge amount of positive energy, enthusiasm, and knowledge to her presentations. She speaks to the heart of women and demands them to search within and to own their God-given greatness. She is extremely inspirational and brings about a feeling of empowerment to all who have an opportunity to see her. She has delivered powerful presentations in many areas including women’s group, entrepreneurial events, and in organizations. In every presentation, LaTersa draws upon her business sense and experience, her personal wisdom, and her overall life experience to help your audience grasp and understand the necessary steps that are needed, in order for them to run and operate a successful and thriving home and business.